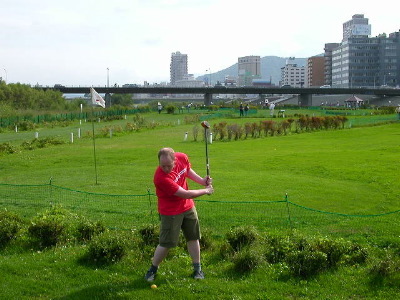 While in Sapporo, Blair and I played Park Golf. It is a cross between golf and croquet. You only get one club, the course is pretty short. It is generally played by old people. I won the first game, my first game ever. Some random old guy beat both Blair and I in our second game.